My new book, Terry and the Brilliant Book, is out February 21st! Terry and Sue are best friends. And every year, for their birthdays, they give one another a ball. They love playing ball together! But then, one birthday, Sue gives Terry . . . a book! At first Terry is confused. You can't bounce a book, and you can't bat a book. What on earth is he meant to do with it? But when he eventually starts reading it, he finds the book is so good that he just can't put it down. And this brings a host of problems all of its own . 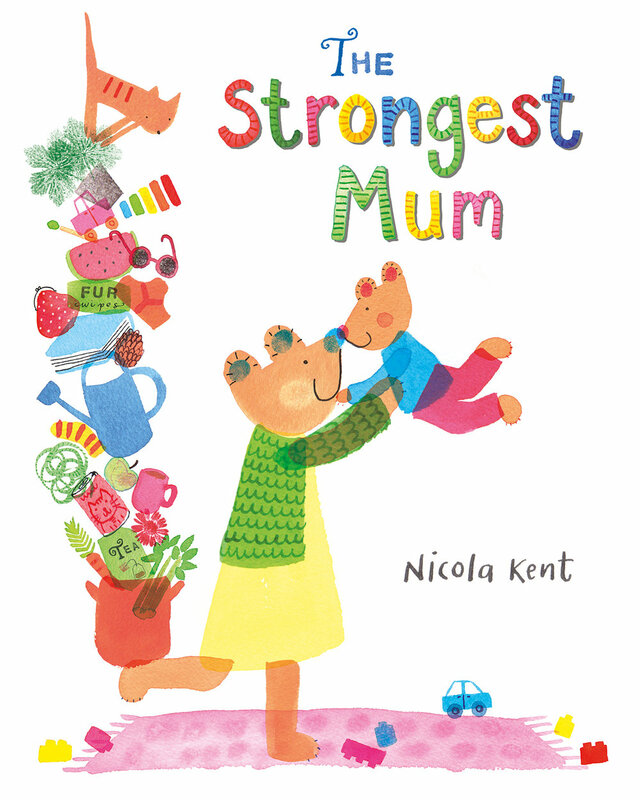 . .
"The Strongest Mum is a warm, funny and original story about a parent-child relationship, perfect for learning about helping each other out. Packed full of endearing animal characters, it is sure to delight young children. Nicola Kent’s bright, jewel-like colours and eye-catching illustrations make this a truly stunning picture book debut." When Vera Jewel’s bike breaks one morning, she takes matters into her own hands and comes up with some ingenious - and very funny! - ways to get to school. From jumping on her space hopper to making her own catapult, Vera’s ideas get more and more adventurous, but nothing seems to get her there on time. It’s a good thing that she’s one determined little girl who never gives up . . .
"Vera Jewel is Late for School is a warm, funny and very original story about determination and creativity, perfect for learning about standing on your own two feet - and being rewarded for hard work and inventiveness! Nicola Kent’s catchy rhyming text, bright, jewel-like colours and eye-catching illustrations make this a truly stunning picture book."